Jakarta – 19 October 2017, PT Nippon Indosari Corpindo Tbk. (ROTI), has recently reached a definitive agreement with Korea’s leading coffee franchise in the global market, Caffebene (카페베네). 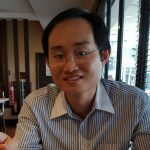 The agreement will grant the Company an exclusive right to supply cakes and pastries in 576 Caffebene outlets in South Korea in December 2017, under the CaffeBene by Sari Roti brand. The initiative brings together two strong businesses in food and beverages from two large markets in Asia, to deliver high quality and delightful products to win the hearts of Caffebene’s customers in Korea. CaffeBene by Sari Roti products will be available in all Caffebene outlets in Korea that also sell brewed coffee, espresso drinks, hot and cold beverages, sandwiches and bagels. Sari Roti has the biggest market share in Indonesia, with a broad range of products, consisting of white bread, sweet bread, as well as cakes that are enjoyed by Indonesia’s consumers for more than 22 years. Meanwhile, Caffebene, starting its domestic coffee franchise business in 2008, has gone worldwide, with presence in 14 countries and 129 stores around the world. “We are pleased that Sari Roti is now the exclusive supplier of cakes and pastries to Korea’s leading coffee chain, Caffebene. With the introduction of CaffeBene by Sari Roti products, our company will be a step closer to become the leading baking goods manufacturer in Asia by 2025,” said Wendy Yap, President Director and Chief Executive Officer of PT Nippon Indosari Corpindo Tbk. 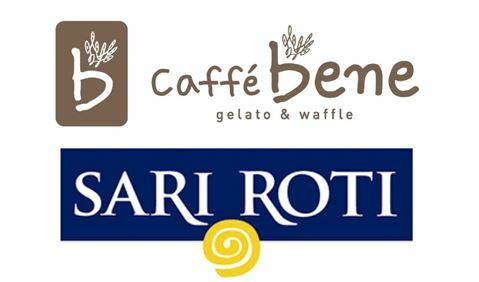 The agreement with Caffebene marks ROTI’s second foray in the global market, following its entry to the Philippines in 2016, by establishing a joint venture with Monde Nissin Corporation, called Sarimonde Foods Corporation. About PT Nippon Indosari Corpindo Tbk. PT Nippon Indosari Corpindo Tbk. (BEI: ROTI) is a bread manufacturing and distribution company established in 1995. The Company is committed to continuously produce and distribute a wide range of products, which are halal, with high quality, hygienic, and affordable for all Indonesian consumers through the Sari Roti brand. The Company implements the ISO standard of Food Safety Management System and Quality Management System. Currently, its 10 factories are located in Bekasi (Cikarang and Cibitung), Pasuruan, Semarang, Medan, Palembang, Makassar, Cikande, and Purwakarta, with production capacity of more than four million pieces of bread per day. All Sari Roti products have been registered in the Indonesia’s National Agency of Food and Drug Control (Badan BPOM Indonesia) as well as certified Halal by the Indonesian Ulema Council (Majelis Ulama Indonesia). In 2016, the Company and Monde Nissin Corporation set up a joint venture called Sarimonde Foods Corporation in the Philippines. Visit www.sariroti.com for more details about the Company and www.rotinyaindonesia.com for Sari Roti’s newest products.